﻿ It’s Apple tenth anniversary!!! What surprises are awaited? Home Business It’s Apple tenth anniversary!!! What surprises are awaited? It’s Apple tenth anniversary!!! What surprises are awaited? As far as early rumours are concerned, iPhone 8 is the tenth generation smartphone that is expected to introduce something radical. The journey of Steve Jobs of holding the original iPhone to unrestrained enthusiasm of crowd in San Francisco waiting eagerly to get something extensive. Apple is gearing three iPhones, in case rumours and leaks are to be believed over the few months although Apple has tight-lipped regarding its gadgets but somehow rumours can be expected to swirl. Apple is launching three iPhones this year-iPhone 7s, iPhone7s Plus and iPhone 8. In other words upgraded version of the current two iPhone models followed by new top of the line handset to intact the overhauling spirit. The company is dedicating considerable resources to make new iPhones an instant hit. If the gossips are to be believed, Apple is experimenting to bring the most intuitive screen followed by curved glass. And if the hardware is conceived, with the most innovative cameras, it would be paired with stainless steel material. Those who are apprehensively waiting, they may end up waiting further since supply constraints that are expected to pop up with the excessive demand. According to Appleinsider, Apple marketing Chief Phil Schiller recalled the past and regarded how iOS has marked its impressions on the entire world. But at the preliminary level, it is quite essential to anticipate the most awaited functionality of iOS 11. According to a new report, iOS 11 will enable the users to hold FaceTime group with multiple friends. Some rumours claimed that the feature will be supported by five participants and users that will initiate video calling from the existed iMessage group chats. 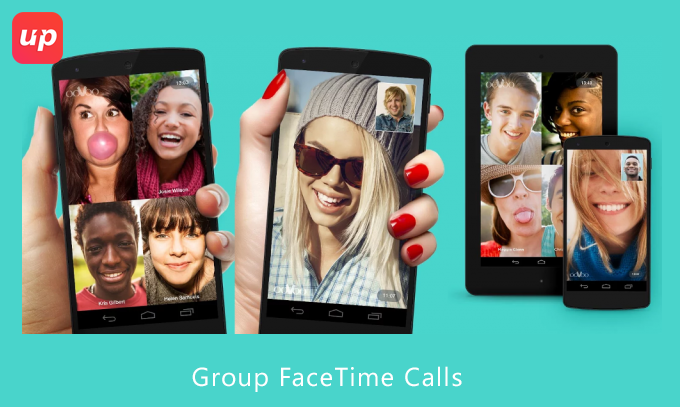 Although Group video is already offered by rival services like Skype, and Google Hangout. So iOS 11 is also dedicating some efforts in order to maintain dominance of FaceTime on iOS devices. Although FaceTime has not experienced significant changes over the years. According to The Verifier, it does garner much about the FaceTime upgrade, unlike group calls that will support upto five members. This will enable the display on iPad or iPhone to be split up into four windows neatly which will end upto see each participants at the same instant. Hopefully this would benefit iOS application development services. iOS 10 version had voice transcription as a latest feature which was although under experimentation, but this latest feature is expected to bring preciseness as well as simplified method to use it. Although listening to the voicemail in your own language will be considered as the most innovative feature and if it works accordingly, then the entire world will be known to recognise with gratitude. Since all Consumer electronics technology is dedicating efforts on smarter working, which further intensified when Samsung finally will introduce its own Artificial Intelligence software to launch in 2017. 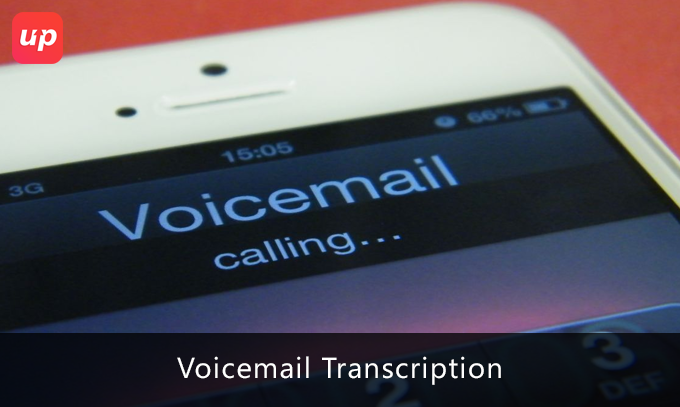 To modulate its step on the domain of versatility, Apple is expected to step in Voicemail transcription which was labelled before under the beta feature of iOS 10. Hence iOS 11 will improve the viability as far as real world settings are concerned. Although another possible inclusion in iOS 11 is continued enhancement over its Maps apps. With the ultimate motive of catching Google to get better mapping Apple is all set to employ the fleet of drone according to a report by Bloomberg. It proved that the technology landscape is transitioning more complex with diversity and partially the credit goes to the introduction of drones and navigation technology. The California based company, Cupertino is putting together a team of robotics and data-collection experts that will employ drone in order to capture and update map information faster rather than its present fleet of cameras and sensor ladened minivans. Till the last year Google had somehow invaded the domain but it seems Apple is trying hard to deliver the best possible solution and will still continue with iOS 11. With rumours continued, Apple will still be launching iMessage for Android. This would rather be easier for group texting with the friends that are having LG device or Samsung Galaxy. This situation does makes sense since Blackberry launched BBM for Android and iOS. Even Google Handouts can be set as the default messaging app as far as Android is concerned which equivalently works on iOS and even web. Hence the advantage of this would be manifold as far as consumer electronic giants are concerned, and even useful for iPad and iPhone users in order to easily communicate with the friends that uses Android-driven platform. Although last year Siri had added third-party apps for instance payment apps like PayPal and VoIP. According to some rumours, Apple is expected to develop a Siri Speaker as far as improvement over Siri iOS 11 is concerned. Although there are few conclusions which can be derived out of the rumours that Apple is working hard in order to improve the reliability as well feature set of its virtual assistant by making the smart home system at forefront. 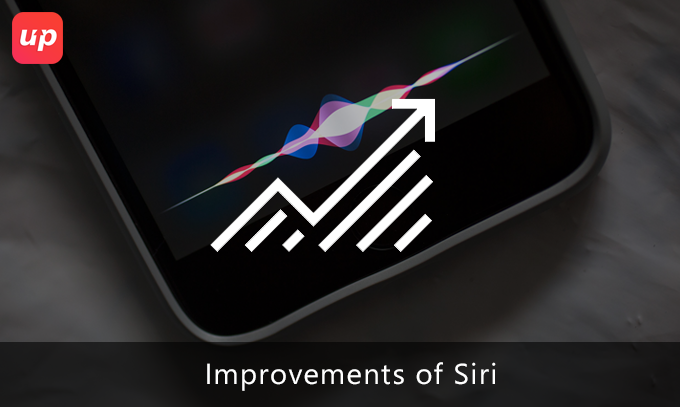 Another possibility may be enhancements to Siri which may include human-sounding voice with the deeper integration with third-party apps. This is a great initiative to handle the more complicated queries. Although Apple is expected to demonstrate something amazing of iOS at WWDC 2017. 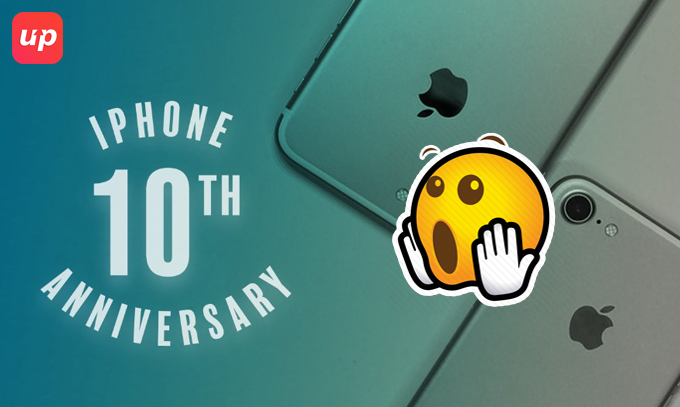 But it’s hard to believe that Apple’s success has reached to the pinnacle point of eleventh iteration of iOS that will be expected to step in with tenth anniversary of iPhone. Advancement over display: As per the research note from Barclays which revealed the fact that Apple’s 2017 lineup is expected to feature True tone display technology. Although originally this feature was introduced as a feature exclusively for iPad Pro, leveraging the four-channel ambient light sensors in order to automatically adapt the colour as well as modulating the intensity of the display with light in your environment. OLED display will bring the grace Apple’s flagship iPhone 8 which is assuring the most advanced display added with extra feature of carved display but won’t pull off the way like Samsung with its S8 lineup. According to Journal, Apple is expected to be working more than 10 distinguished iPhone prototypes. The prototypes experiment with screen technology as well as materials by employing prototypes utilising LCD Display unlike others using AMOLED. Some prototypes are also under testing with and without home buttons. Stainless steel frame which is sandwiched between the symmetrical glass on the front as well as back. Another protoptype which may strike on the higher-end iPhone, with a dual lens camera positioned vertically. Apple may be testing another prototype to revive the tradition of iPhone 2007 of glass back that was more dramatic curves to the top as well as bottom. As per Appleinsider, for the 5.8 inch OLED version, the biggest bottleneck expected that remains with the integration of under-glass fingerprint sensor into the display. 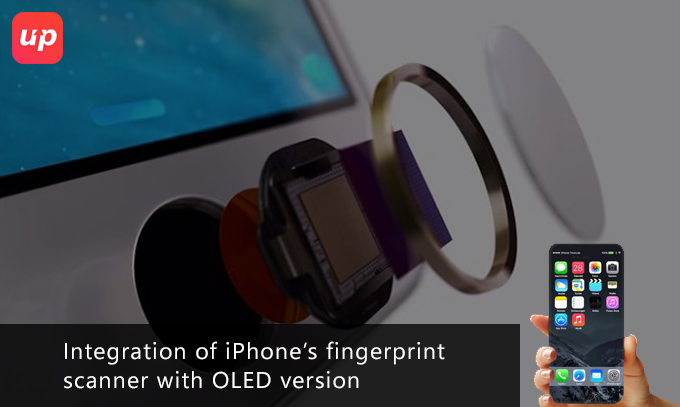 Although some of the supply chain has further clarified the matter like Digitimes where Apple has neglected the Sypnatics’ Natural ID touch fingerprint as well as Qualcomm’s Sense ID touch as far as OLED touch is concerned. 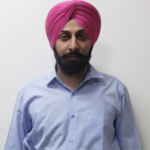 Instead, it is intending to employ its own Authentic Algorithms with Privaris’ glass identification technology in order to create new fingerprint ID solution. Hopefully this would be as a boon for iOS application development companies. Apart from biometrics additions like iris, facial, or gesture recognition camera will be one of the attributes that users are eagerly waiting for. As far as higher-end models with dual-lens camera are concerned, then both lenses are expected to bring feature of optical image stabilisation. In front-camera, it may include 3D sensing capabilities that use the technology by PrimeSense which allows to find the location as well as depth of objects in front of it by enabling facial and iris recognition. According to the rumours of Apple, it is constantly dedicating resources to explore both a vertical rear camera as well as dual camera setup with the ultimate to improve the picture quality. With the development discussed above apart from hardware as well as software, it would bring some optimism to iOS application development to modulate the path of innovation into their mobile apps. Fluper is working hard to absorb the innovations very precisely and to create the most path-breaking app which would really make the Android users envious.